Have you ever started out with one destination in mind and ended up some place completely different? That's what happened to me today. I took off this morning intending to drive to the beach and ended up going to a used bookstore and a bird festival. At Recycle Bookstore I picked up a few books that have been on my mind. 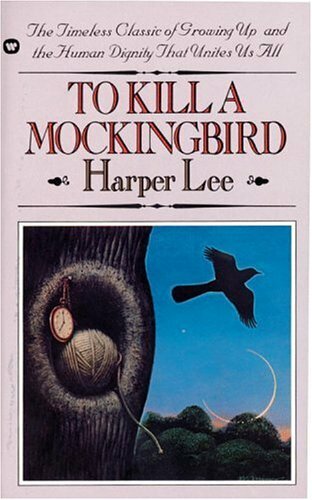 The last time I read To Kill a Mockingbird was 8th grade and I can barely remember it. The Little House books were among my favorites back in elementary school, and I'm curious to read them again. The festival offered a live animal show, so I got a ticket and a good seat in the front. When the woman from the wildlife rescue center said that she was going to show us a crow, I got annoyed. I can walk out my front door and see a crow pretty much any time of day. But it turns out this was a special crow-- it's an albino, and I've never seen anything like it. She was forgiven. After the show I went on a short tour to learn about the different types of habitats at the refuge. The birding was great-- a white pelican glided by surprisingly close and a couple of snowy egret babies were hanging out on a wooden platform. Best of all was a burrowing owl. I was able to get a good look at him with my binoculars, but he was too far away for a decent shot with the camera. If you look closely, you can kinda see him. I might not have made it to the beach, but I did have a fun day and I'm glad things turned out the way they did. Tomorrow morning I'm going to head for the coast again and see where I end up. O the beach sounds good to me...but I love animals too..loved that crow..and the owl..I love owls...what don't I love? Thanks about Jenna and Kye Stacy:)I also read To Kill a Mockingbird in grade 8! That white crow is amazing and that woman's braid! Wow. The older I get, the more I find myself moving in a different direction than I started out in:) and that is OK! It looks like your different direction turned out to be a really great day! That crow is quite interesting! Enjoy your Sunday my friend! HUGS! How amazing to even see the owl! I'm glad you got to spend a day doing things you enjoy. I love reading the classics and even children's books. I read Mockingbird recently because my kids were reading it. 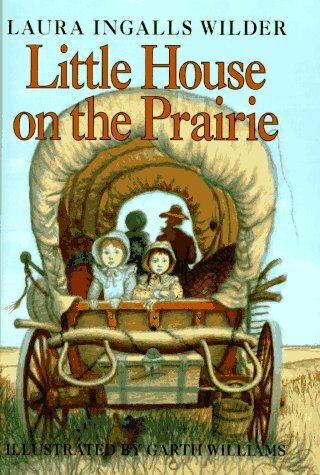 I love the Little House on the Prairie books, too. There really is so many wonderful books for kids out there. I love To Kill A Mocking Bird and just recently re-read it. Great book. Really great. What fun to just go with the flow and end up with such a fun and interesting day. Wow -- sounds like you had a wonderful day. I would love to see all of those unusual birds. Ours aren't too exciting -- although, we do see some gorgeous cardinals around here! Never read the LHotP books but I LOVED the show growing up. To Kill a Mockingbird is one of my favorite books and movies.